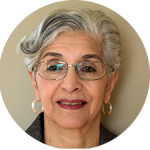 Dr. Ali Taghavi, a devoted volunteer and public servant has actively participated in counseling individuals on drug, alcohol and mental health in the State of Maryland for more than 15 years. He works extensively with AA group helping people with alcohol addiction. He is also the managing director of a special minority group of senior citizens at Rainbow Senior Center in Gaithersburg, MD. 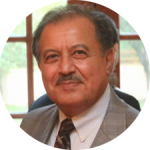 Mr. Ali Taghavi earned his undergraduate degree in Agricultural Engineering from the University of Hamadan in 1971 and received both his Masters and Ph.D. degrees in Economics\Marketing and International Development in 1976 and 1987, from Utah State University in 1979 and 1983, respectively. He has been engaged in teaching and conducting research in Community Development at Utah State and Souther Universities, as well as the University of Moragoro in Tanzania. Deputy Director at Nu Horizon Adult Day care Center in Montgomery County, MD. Coordinator at Rainbow Adult Day Care Center, Gaithersburg, MD.